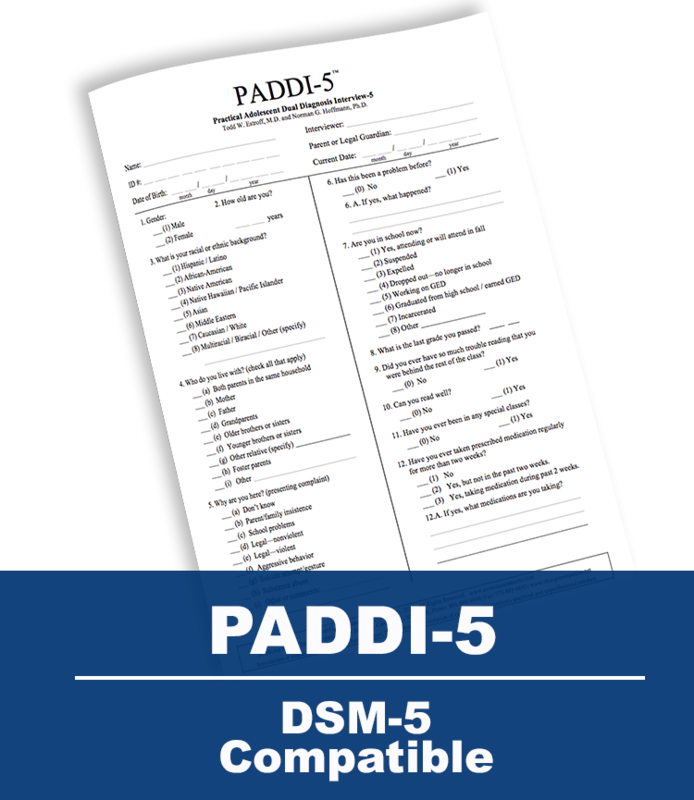 The PADDI-5 is a comprehensive interview based on the DSM-5 for identifying co-occurring mental health and substance use disorders among adolescents. 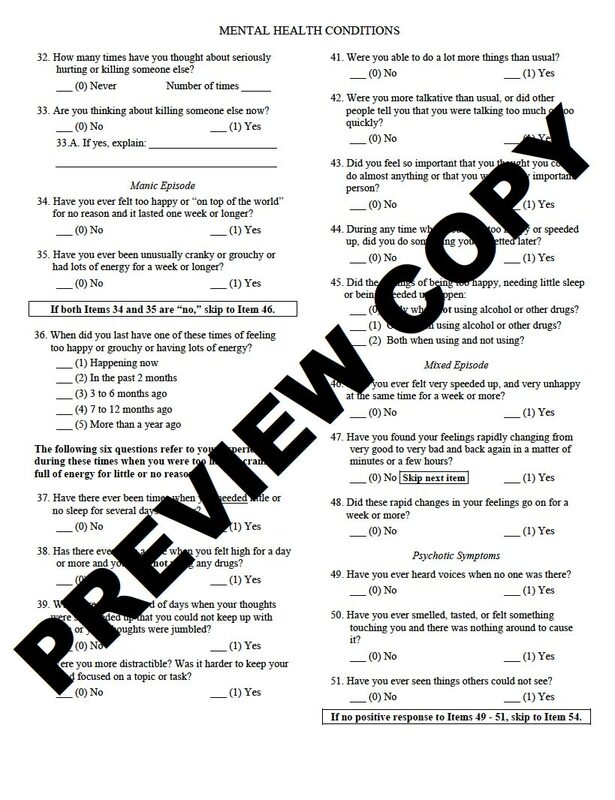 This interview enables both addiction and mental health professionals to document problems within their areas of expertise and make focused referrals for conditions outside their scope of practice. All this information can be collected and summarized in this efficient and client-friendly interview designed by experts in assessment and clinical practice. 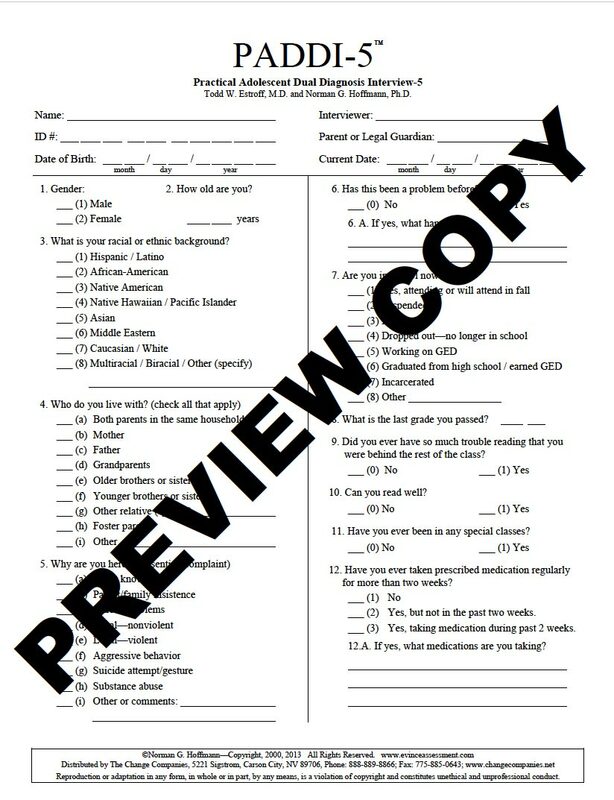 The flow of the interview can actually contribute to the development of rapport with the adolescent. 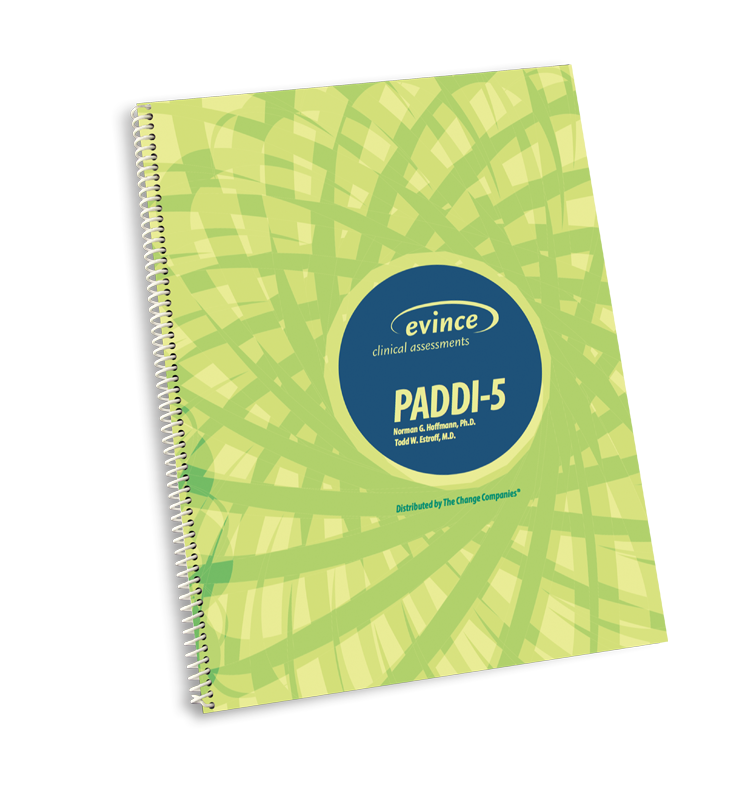 The PADDI-5 is an excellent tool for an initial evaluation because it covers many of the most common co-occurring conditions in juvenile justice, mental health and addiction treatment settings. It can be used in clinics, treatment centers, and private practices. The PADDI-5 is a valuable instrument for evaluating adolescents in juvenile justice settings and for juvenile diversion court applications. Sections of the PADDI-5 can be repeated at a later time to determine whether or not areas of concern have been resolved or whether new issues have emerged. This is particularly true for affective and anxiety disorders.